Prominent & Leading Wholesale Trader from New Delhi, we offer autofy anti-pollution mask, autofy face mask / balaclava, autofy car vacuum cleaner, autofy microfiber round duster cleaner for all cars, autofy whistle exhaust pipe blow off valve for all cars and autofy car back rest cushions. 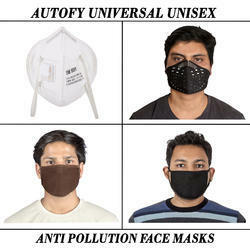 Autofy stylish total protector Face Mask / Balaclava & Anti-Pollution Mask are now available at a very low and reasonable price. 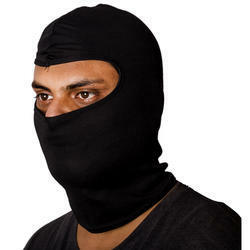 This mask can be worn without a helmet or under and can be used as a Full face covering mask, hat, open balaclava, neck gaiter, or like a ninja hoodie. The best part is that it protects your hair, neck, ears and face from dust, rain, sun rays etc. The ultra-smooth and mesh fiber makes it breathable and does not block fresh air, it also acts as a sweat absorber. The carefully engineered design makes it abrasion resistant. This is a very important product for off-roadings, mountain driving, high driving etc. This is a free size mask which can be stretched to fit to any size. This is a highly used product by bike enthusiasts, biker lovers and biker boys who love their bikes Royal Enfield Bullet Standard 350, Royal Enfield Bullet Standard 500, Royal Enfield Bullet Classic 350, Royal Enfield Bullet Classic 500, Royal Enfield Bullet Classic Desert Storm, Royal Enfield Bullet Electra, Royal Enfield Bullet Thunderbird 350, Royal Enfield Bullet Thunderbird 500, Avenger, Pulsar, Duke KTM, Harley Davidson, Yamaha FZ, R15, CBR, Ninja, Apache, Hayabusa and other bikes. The net desogn at nose and mouth position makes air circulation very easy and balanced. 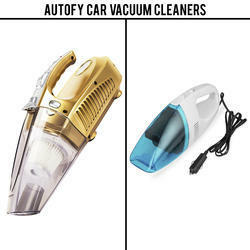 Autofy presents you the high power vacuum cleaner portable that will help you in cleaning your car more betterly and conveniently. This vacuum cleaner is very compact and can be easily carried and has lightweight body which can be used by anyone, be it old or young individual. It's filter can be easily cleaned which makes it more convenient and better for you. Its powerful suction grabs dirt very easily and cleans the surface of your car very quickly. It also has an attachment that increases its utility and makes it much better for for especially when you want to reach small spaces and corners of your car. This product can be highly useful on any car such as Fortuner, Innova, Land Cruser LC200, Land Cruser Prado, Prius, Beetle, Jetta, Polo, Vento, Octavia, Rapid, Superb, Yeti, Duster, Fluence, Koleos, Kwid, Lodgy, Pulse, Scala, Micra, Micra Activa, Sunny, Terrano, Pajero Sport, Aventura, Punto Evo, Linea classic, Linea classic, Force one, Ecosport, Endeavour, Figo, Figo Aspire, Amaze, Brio, City, CR-V, Jazz, Mobilio, Creta, Elantra, Eon, Grand i10, i10, i20 Elite, Santa Fe, Verna, Xcent, Bolero, Getaway, KUV100, Quanto, Ssangyong Rexton, Scorpio, Thar, TUV300, Verito, Verito Vibe and XUV500 etc. 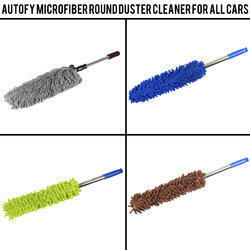 Autofy Multi-Purpose Microfibre Cleaning Duster is available at reasonable and pocket friendly prices. This duster is a multi-purpose cleaning accessory that can be used to clean cars, bikes, laptop, tables, lights etc. The soft yet carefully engineered design takes care that your shiny surfaces do not get scratches and are cleaned to the best possible. These fibers can be soaked in water, cleaning liquids, soap solutions without any risk of deforming etc. The tender teeth like sticks go deep inside spaces where your hand or fingers cannot reach. It is made from the material which is the best material for absorbing water and other liquids. It traps dirt without leaving any dirt marks or streaks. The best about this duster is that it be machine washed and re-used for a very long time. This is a highly recommended product for bike enthusiasts, biker lovers and biker boys who love their bikes Royal Enfield Bullet Standard 350, Royal Enfield Bullet Standard 500, Royal Enfield Bullet Classic 350, Royal Enfield Bullet Classic 500, Royal Enfield Bullet Classic Desert Storm, Royal Enfield Bullet Electra, Royal Enfield Bullet Thunderbird 350, Royal Enfield Bullet Thunderbird 500, Avenger, Pulsar, Duke KTM, Harley Davidson, Yamaha FZ, R15, CBR, Ninja, Apache, Hayabusa and other bikes. This is also compatible with Honda, Hyundai, Maruti Suzuki, Toyota, Tata, Renault, Mahindra, Ford, Volkswagen, Fiat, BMW, Chevrolet, Audi, Jaguar, Mercedes-Benz, Nissan, Land Rover, Datsun, Volvo, Skoda etc. 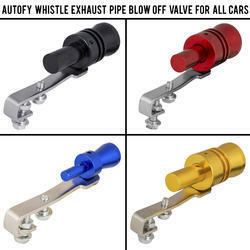 Autofy presents you the turbo sound whistle exhaust pipe that allows your vehicle to sound like a turbo vehicle. It is made up of aluminium which gives it a light weight body along with durability. It is universal for all vehicles and improves the sound quality of your vehicles manifolds.it is very easy to install and does not requires much expertise for the same. Its installation can be done just in three steps. 1. Loose the bolt of the Turbo Sound Whistle. 2. Insert the Turbo Sound Whistle into the tailpipe of your vehicle. 3. Again tight the bolt of the turbo sound whistle so that it does not falls out. 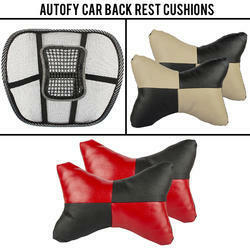 Autofy presents you the full ventilation back rests that you can fit on your car for getting more and better comfort at a reasonable price. It is very easy to install and handle that does not require an expertise. It comes with a durable but light weight body that helps it to work properly for longer time. It is a product for every car owner and especially for those people who drive for long hours. Its thin mesh lets helps in proper air flow. This full ventilation car back rest is not limited to cars only but can be used on sofa as well. Its flexible but strong straps helps in keeping the back rest in place. This can be used on any cars and will be better choice for Etios Liva, Fortuner, Innova, Land Cruser LC200, Land Cruser Prado, Prius, Beetle, Jetta, Polo, Vento, Octavia, Rapid, Superb, Yeti, Duster, Fluence, Koleos, Kwid, Lodgy, Pulse, Scala, Micra, Micra Activa, Sunny, Terrano, Pajero Sport, Aventura, Punto Evo, Linea classic, Linea classic, Force one, Ecosport, Endeavour, Figo, Figo Aspire, Amaze, Brio, City, CR-V, Jazz, Mobilio, Creta, Elantra, Eon, Grand i10, i10, i20 Elite, Santa Fe, Verna, Xcent, Bolero, Getaway, KUV100, Quanto, Ssangyong Rexton, Scorpio, Thar, TUV300, Verito, Verito Vibe etc. 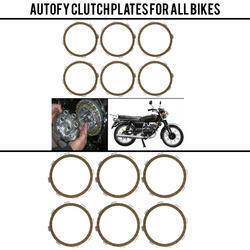 Autofy is back with another product and presents you the Quality clutch plates at a reasonable price. These plates are made up of aluminium that provides it the required strength and gives proper shifting of gears. These plates comes with nice quality material that makes it an ideal choice for every bike owner. These clutch plates can work for years without any problems and will help your bike in achieving a better fuel efficiency as well, if these plates are taken care of properly. In process of engaging and disengaging the engine from gear box, these plates allows you to shifts the gears without any jerk or twitch that gives you a better feel and satisfaction while riding your bike. Be it on road, off road, on driveway or on Highway, these plates will work with full efficiency and compatibility with your bike and will enhance your riding experience. The Quality aluminium used in these plates makes it very durable and tough and lets you use it for longer period of time. Not just for this but for other vehicles as well, Autofy gives you the wider choice by its large products spectrum at reasonable cost & prices.